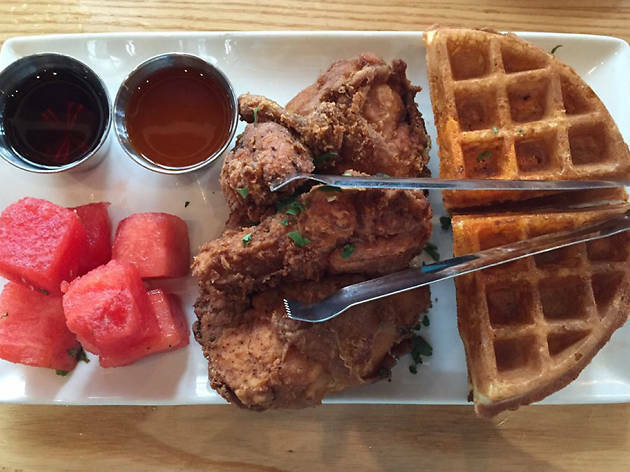 American cuisine is a mutt through-and-through, with the best Italian restaurants in America and the best Mexican restaurants defining the genre as much as burgers and BBQ do. 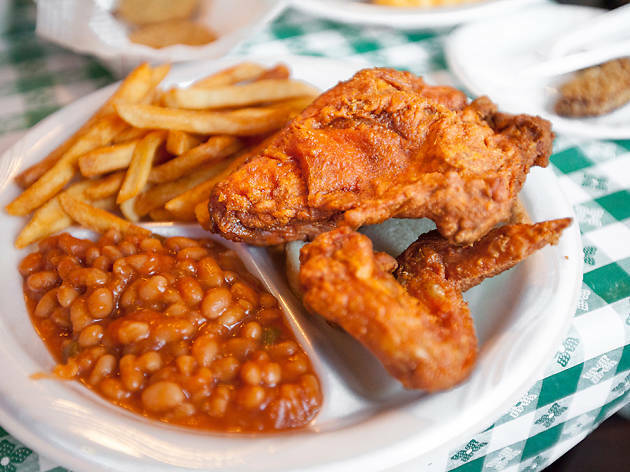 But perhaps no other single dish exemplifies American food like fried chicken, that buttermilk-soaked, flour-dredged bird that’s served in diners and meat-and-threes from east to west and north to south. 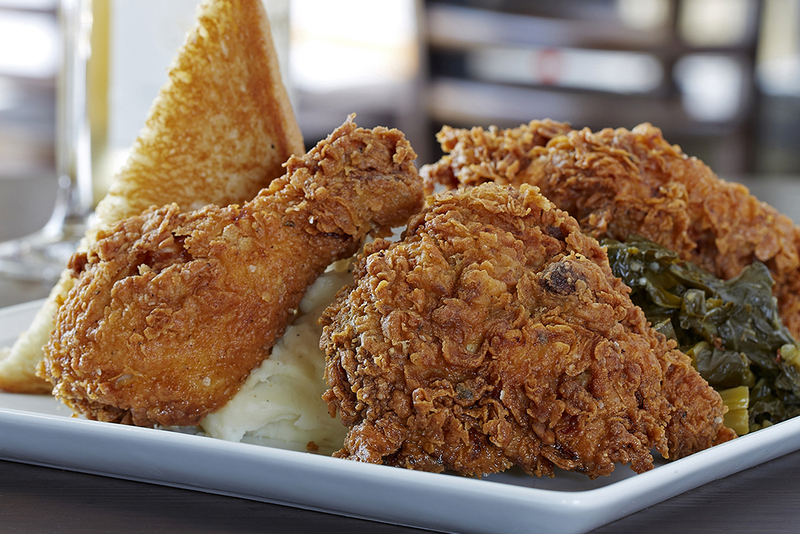 But who makes the best fried chicken in America? 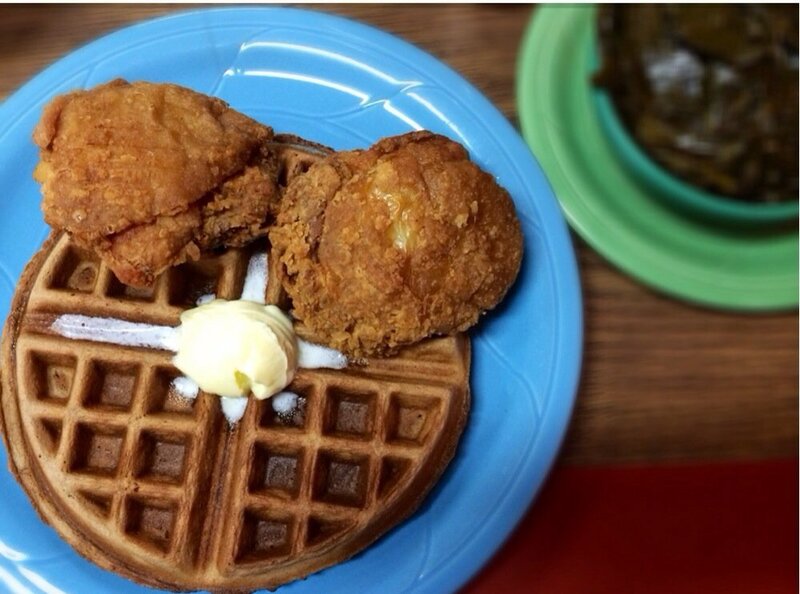 Whose crispy birds are worth a road trip, just for a plate or basket of goodness? 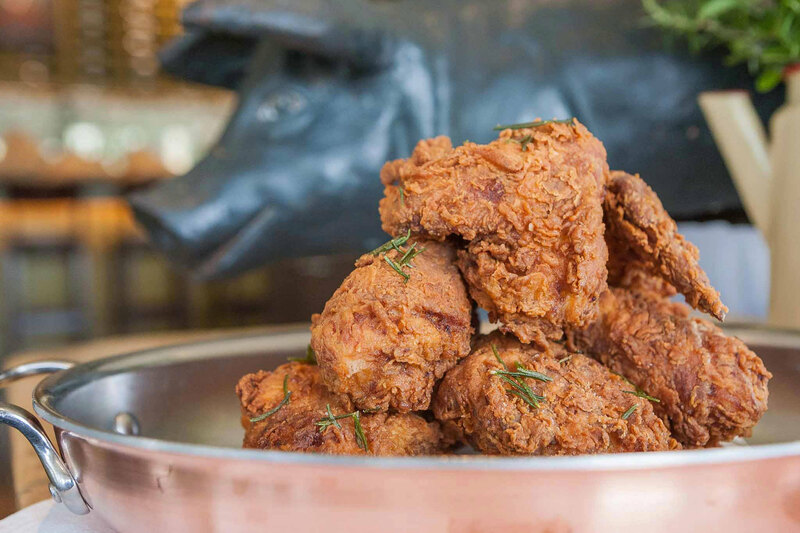 From LA to NYC, in Texas and across the Carolinas, these are the best fried chicken restaurants in America. 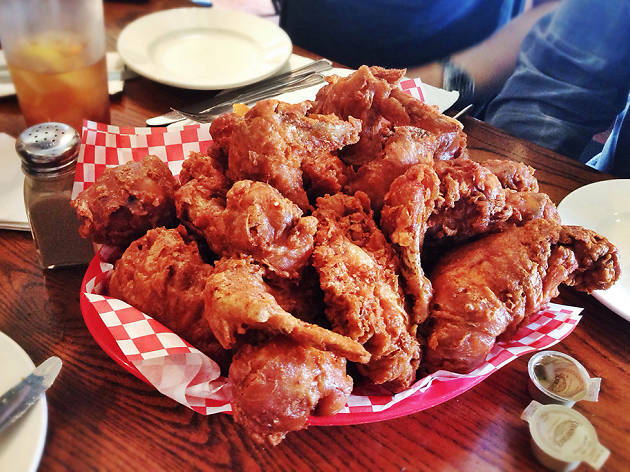 In the 1970s, this “scotch house,” or bar, added a little restaurant run by Ms Willie Mae Seaton, whose exemplary wings, thighs and drumsticks went on to line many a hungry drinker’s belly. 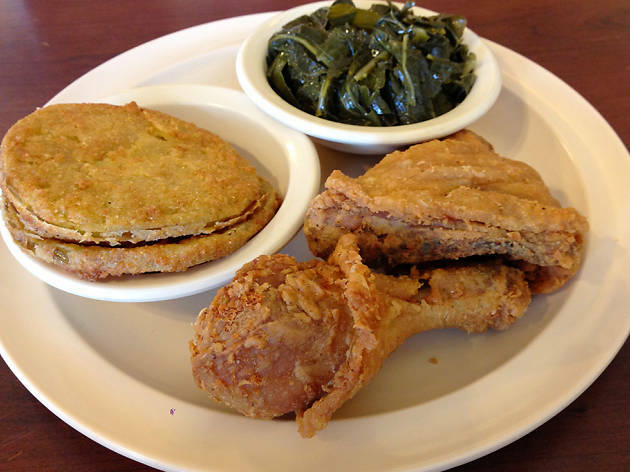 The recipient of a James Beard Award for “America’s Classic Restaurant for the Southern Region” and recognition from the Food Network and Travel Channel as America’s best fried chicken, Willie Mae’s bounced back after 2005’s Hurricane Katrina and still thrives under the direction of Ms Seaton’s great-granddaughter. 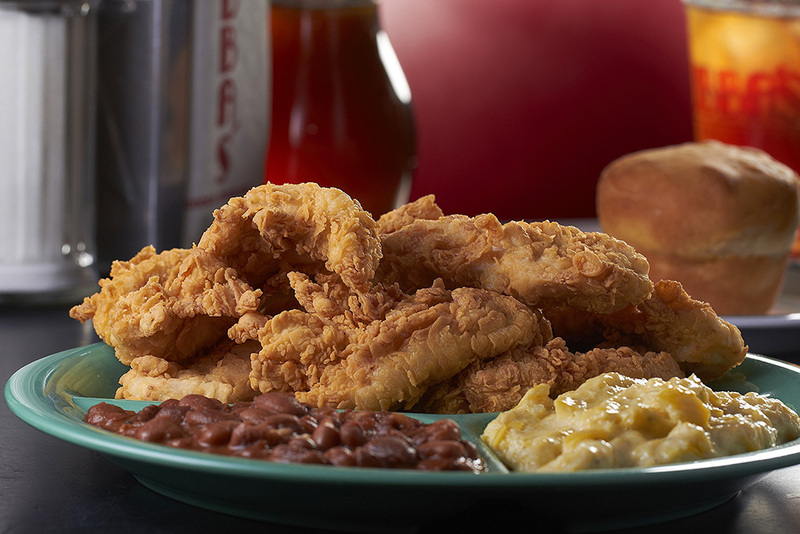 Dig into a plate of three pieces of crisp, greaseless chicken (go for the dark meat) along with a classic side like creamy mac and cheese, or red beans and rice. Chef Thomas Keller—of The French Laundry and Per Se fame—isn’t exactly known for down-home fare; his menus typically favor meticulous techniques and rarified ingredients. But at this Yountville spot, the lauded toque goes back to basics, serving family-style dishes paired with approachable wines. 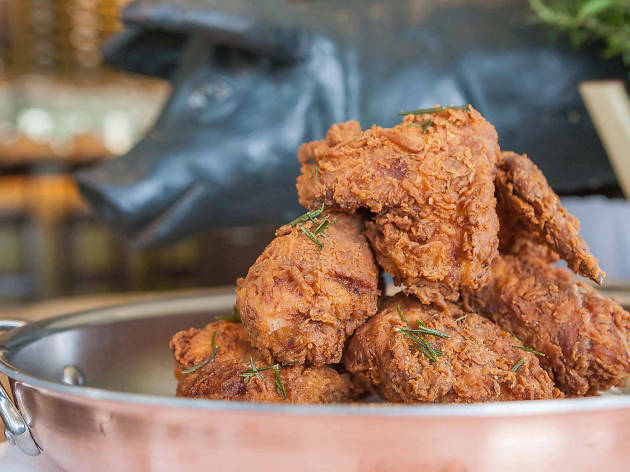 Ad Hoc’s menu changes daily, so diners never know when they’ll be granted the good fortune to dig into the restaurant’s most desired plate: its buttermilk fried chicken. Brined in lemons and honey before being dredged in heavily spiced flour, the bird fries up crisp and nearly greaseless before it’s piled with a final garnish of flash-fried thyme sprigs. Their fragrant essential oils are released in the heat and perfume the chicken. Charleston chef Sean Brock’s vast knowledge of traditional Southern ingredients and foodways has garnered a host of critical acclaim for Husk, his temple to traditional nose-to-tail comfort food (we crowned his burger the best burger in America). 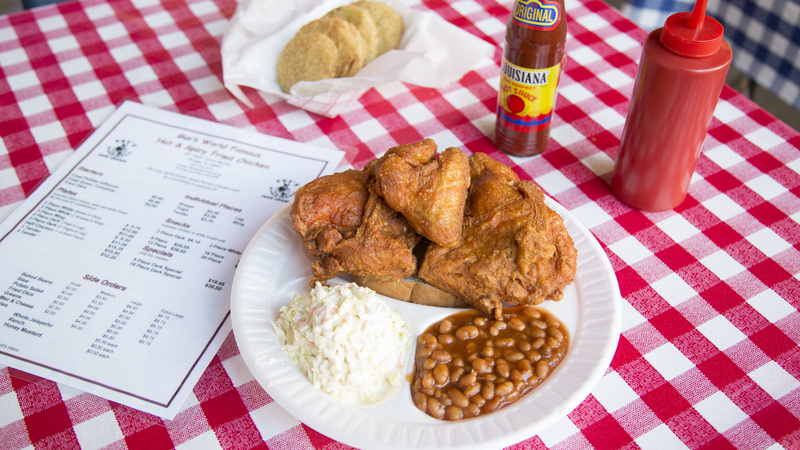 Biting into his juicy, crackling-skinned fried chicken, it’s easy to understand why: the indulgent bird is fried in an outrageously brazen mixture of four fats—butter, chicken fat, bacon fat and country ham fat—and boasts a smoky, porky essence we’ve yet to experience in any other fried chicken rendition. 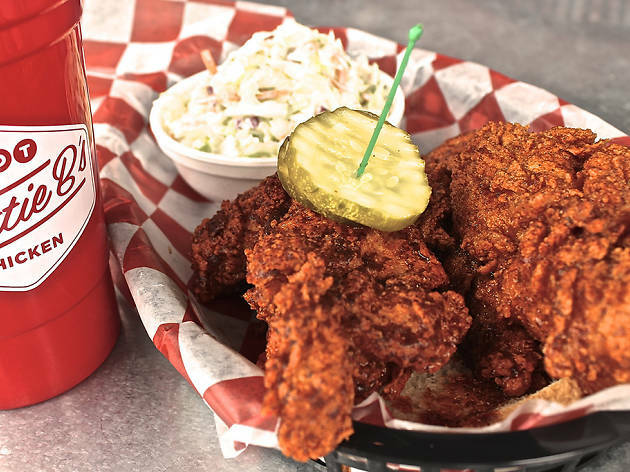 It’s no easy feat to deliver the city’s best rendition of hot chicken, the spicy-crusted fried bird that’s perhaps Nashville’s defining dish. But the ever-present line snaking out the door of this Midtown spot is the first clue that the fryers here produce a damn qualified contender. The proof is in the pudding, so to speak: With five levels of heat ranging from “Southern” (mild) to “Shut the Cluck Up!! !” (very, very hot), Hattie B’s moist bird boasts a well-seasoned and super-crisp exterior. To cool your mouth down, dig into the mayo-laced red-skinned potato salad and crunch on the complimentary icebox pickles. Acclaimed Philly chef Michael Solomonov is best known for his takes on modern Israeli cuisine at his spots Zahav and Dizengoff, but there’s more in his arsenal than just hummus. 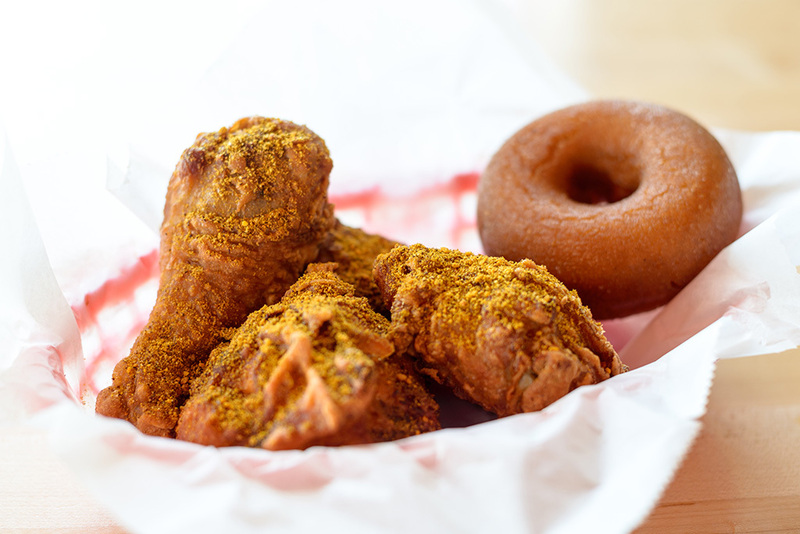 Solomonov has proven to have a way with the fryer, and at his sensationally popular four-location restaurant Federal Donuts, the chef turns out immensely craveable baskets of fried chicken accompanied a light, cakey honey doughnut (no waffles here, folks). 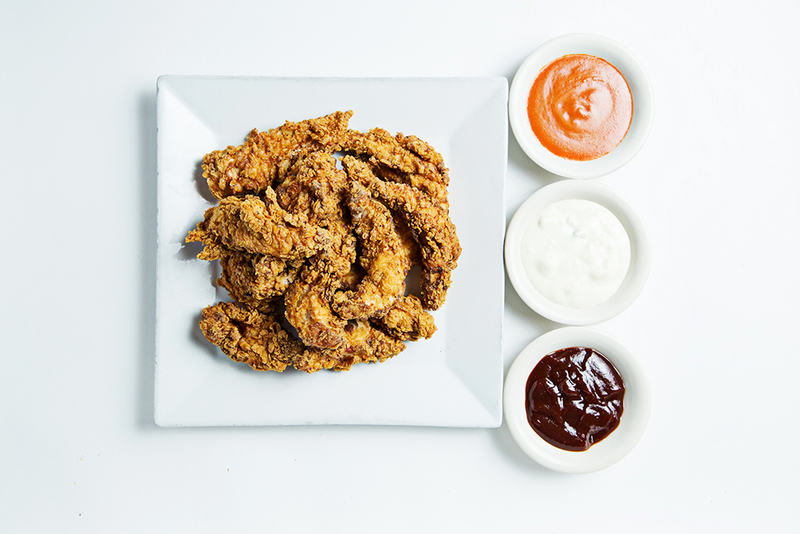 The dry-brined, twice-fried bird features a shatteringly crisp crust inspired by Korean-style fried chicken and comes slathered in the diner’s choice of chili garlic, soy garlic or honey ginger glaze. 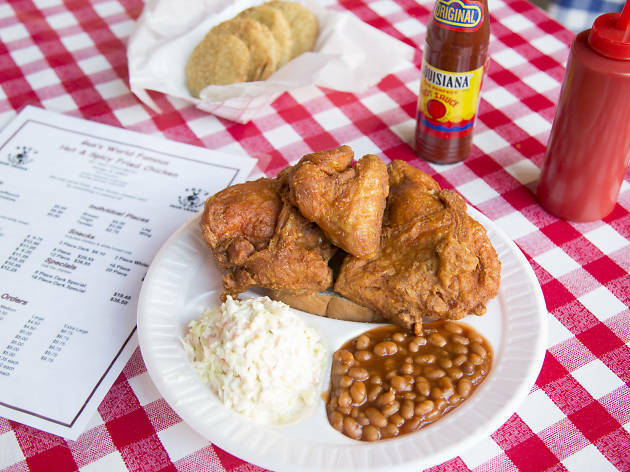 This beloved downtown fried chicken spot distinguishes itself from ordinary meat-and-threes with its elevation of the classic sides that accompany its brined, buttermilk-dipped bird. 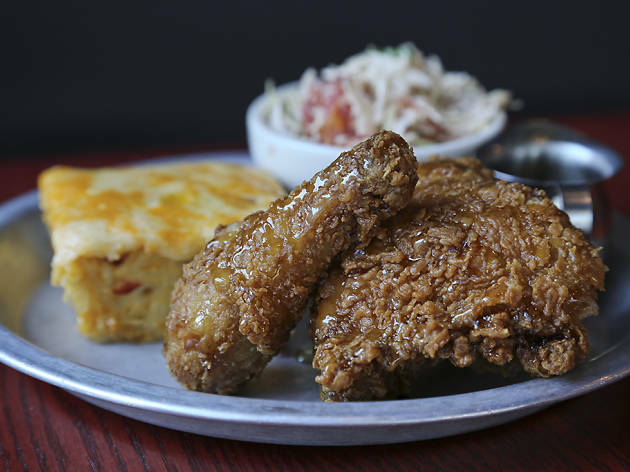 Green cabbage slaw is gussied up with sweet roasted tomatoes; whipped Yukon gold potatoes are ladled with a charred onion gravy; and mac and cheese comes in the form of a light, fluffy custard laced with oozy pimento cheese. 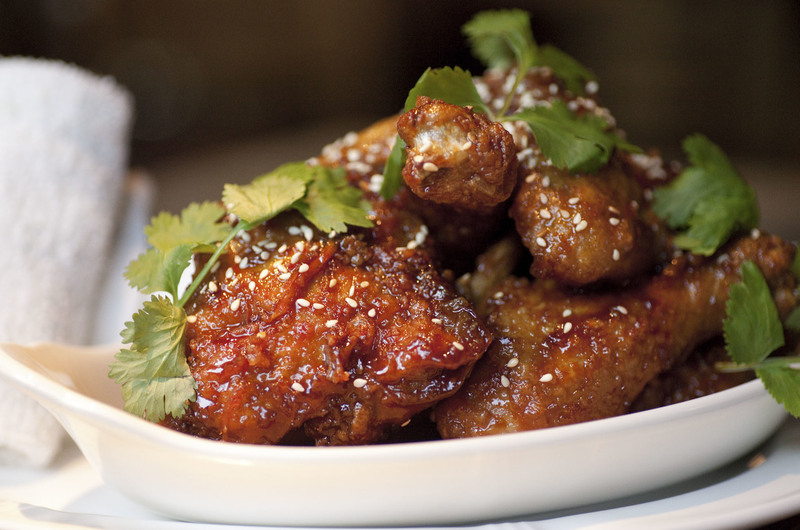 The exemplary veg selection only serves to elevate chef Ashley Christensen’s irresistible, honey-drizzled chicken. 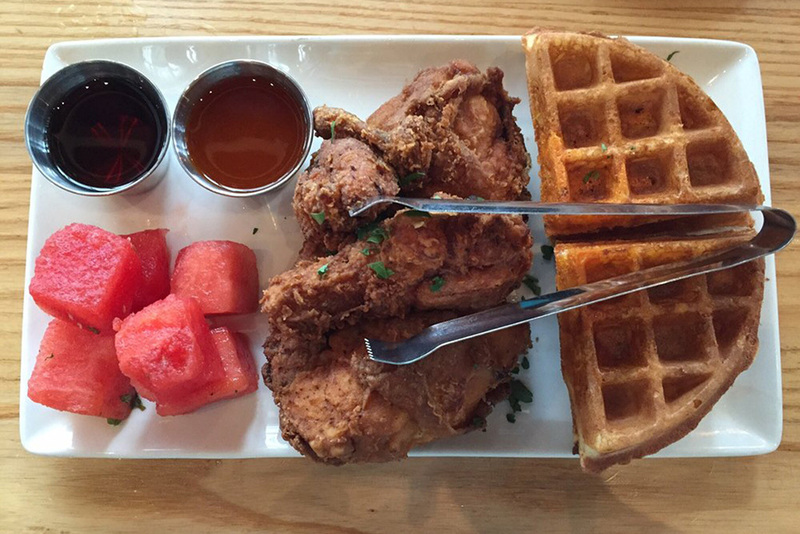 The buzz surrounding Yardbird has been deafening since its birth in 2011 (plans to expand the concept to New York City and Las Vegas are currently in the works). At the center of this publicity maelstrom? 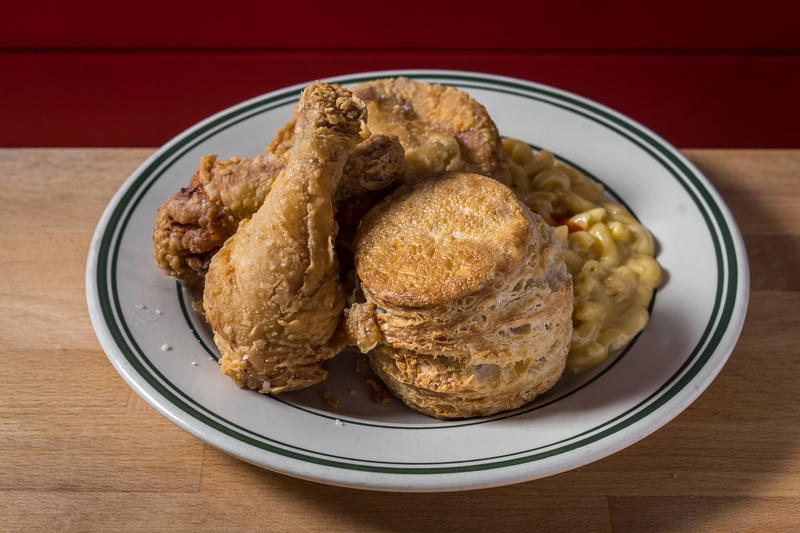 Yardbird’s now-famous fried chicken—a recipe that takes 27 hours to prepare and can be ordered up as a slider (Mama’s Chicken Biscuits) or on a plate (Llewellyn’s Fine Fried Chicken). Wash it down with a whiskey-based house cocktail (Blackberry Lemonade—made with lemon juice, organic blackberries, cardamom and sparkling wine—is a customer favorite). 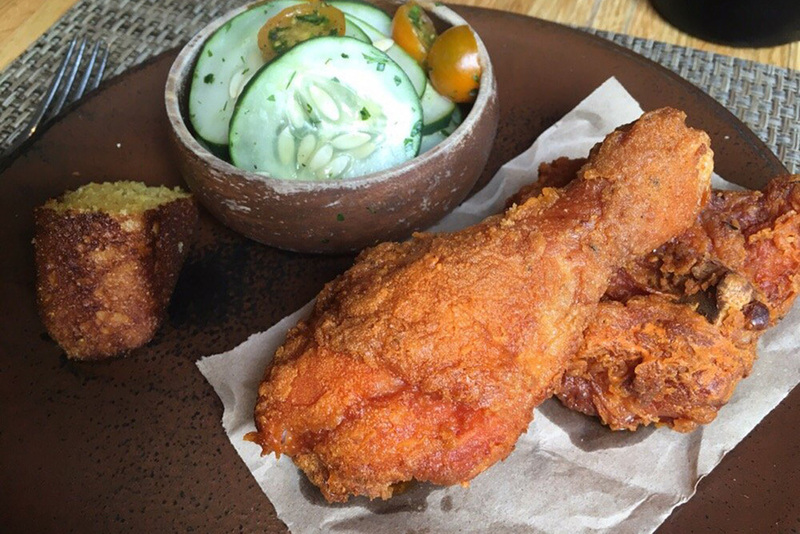 It’s all about the crust at this Williamsburg winner. 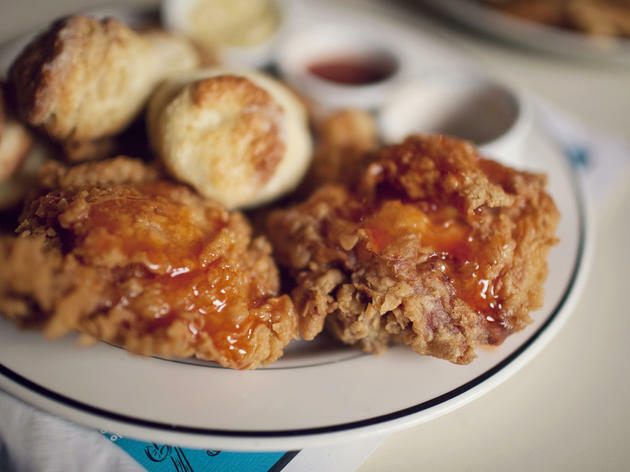 The fried chicken comes as three generous GBD (that’s “golden brown delicious,” BTW) thighs to a plate for a bargain price. 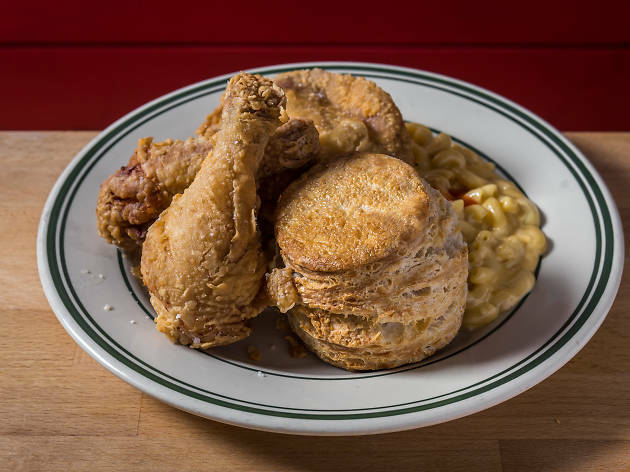 It’s double-crusted, chef-seasoned (i.e., aggressively) and full of craggy bits, delivering a cartoonishly audible crunch and indulgent greasiness—a great way to soak up all the booze on offer at this hipster-happy gastrodive. 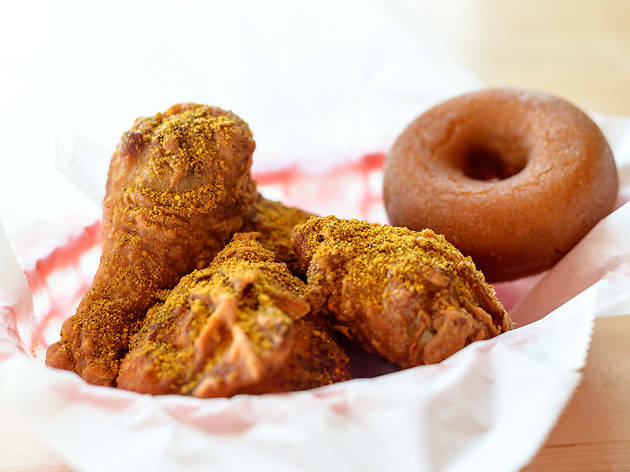 Astro Doughnuts & Fried Chicken, Washington, D.C.
We wouldn’t be surprised if the Commander-in-Chief enlists his aides to grab him to-go boxes of chicken and doughnuts from this exemplary fryery located just a stone’s throw from the White House. In fact, Astro has previously fried up an Obama-inspired chocolate-glazed doughnut with caramel drizzle and smoked sea salt. 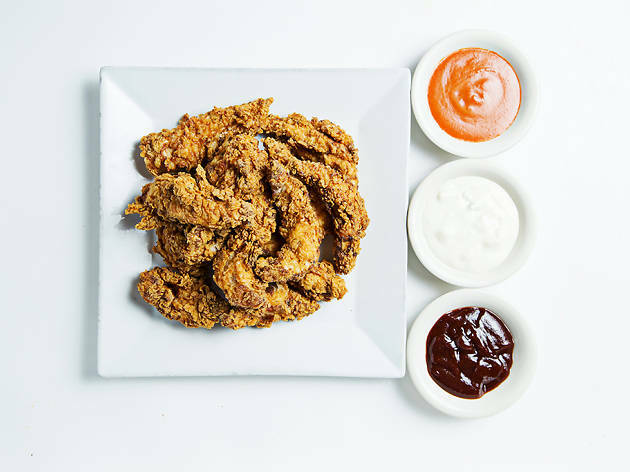 Before chowing down on the desserts here, dig into a plate of its crisp fried chicken, with a cayenne-laced crust that’ll stoke your sweet tooth. 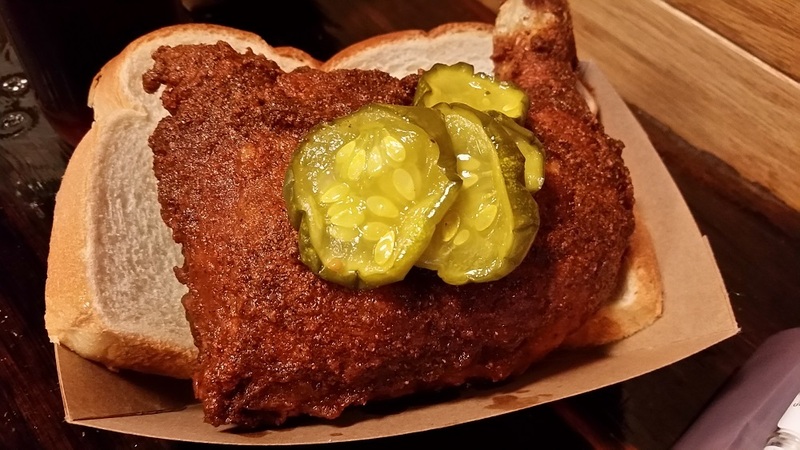 Up until now, all attempts to bring Nashville-style hot chicken to Chicago have been hampered by unfortunate missteps, from texturally weird breading to too-viscous, barbecue sauce-like cayenne paste to wimpy spicing. 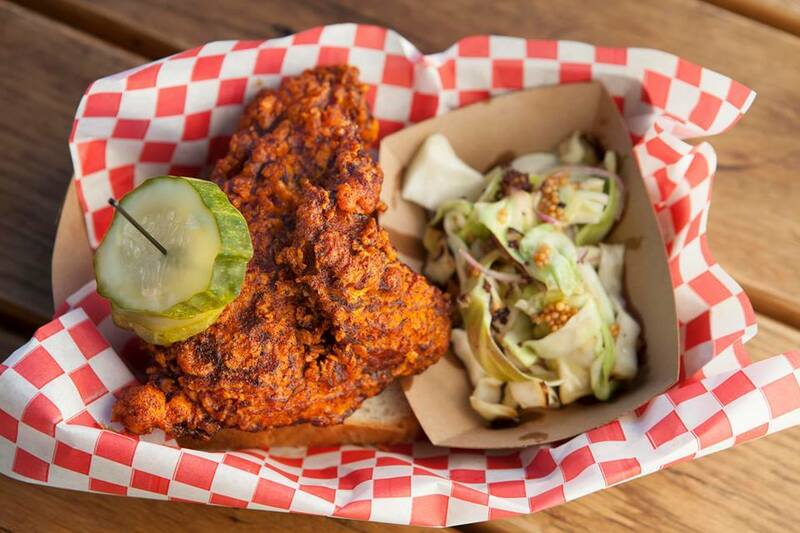 Enter the Budlong, a snug new Lakeview spot frying up hot chicken that hits all the right notes. 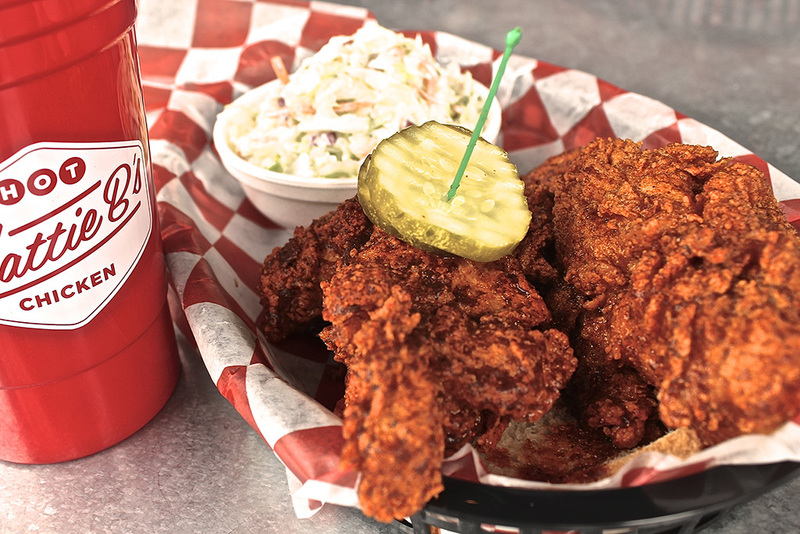 That is to say, the chicken is briny, the breading is shatteringly crisp, and the cayenne paste that coats it gets you sweating and stains your fingers just the right shade of atomic red. (Four heat levels—“naked,” classic, medium, and extra hot—are available; we find the medium packs a reasonable burn.) 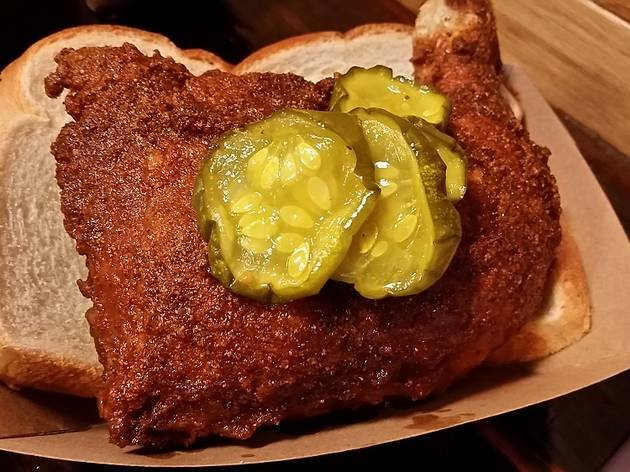 In true Nashville fashion, it’s even crowned with a skewer of cooling pickles and served up on a slice of white bread that draws in crumbled crust and spicy drippings like a delicious sponge. 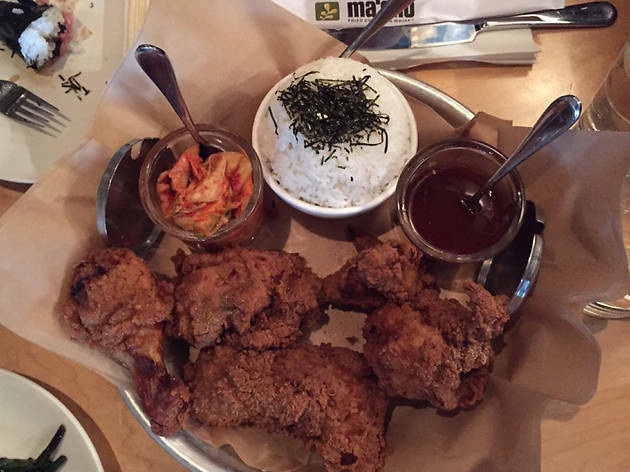 Ma’Ono is a surprising pick for best fried chicken for two reasons: First of all, it’s located in Seattle, a city more prized for its pristine seafood, Rainier cherries and dark java than it is for soul food; and second, the bird is nestled in among a Hawaiian-inspired menu that features Spam musubi and tuna poke. 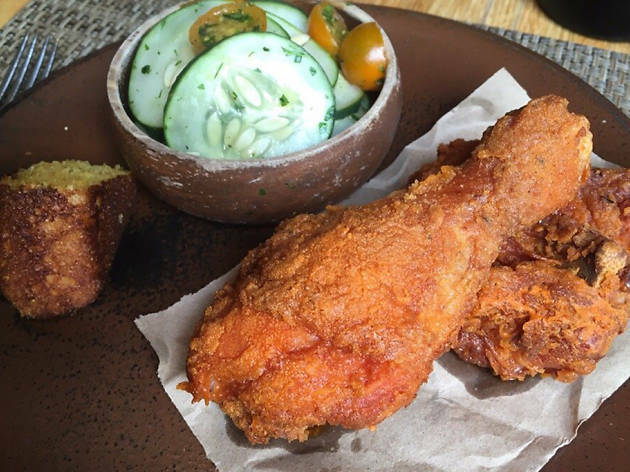 But when something works, it works, and chef Mark Fuller’s buttermilk-soaked, twice-fried bird is a thing of beauty, its crackly crust heavily seasoned with a proprietary blend of “umami” spices. 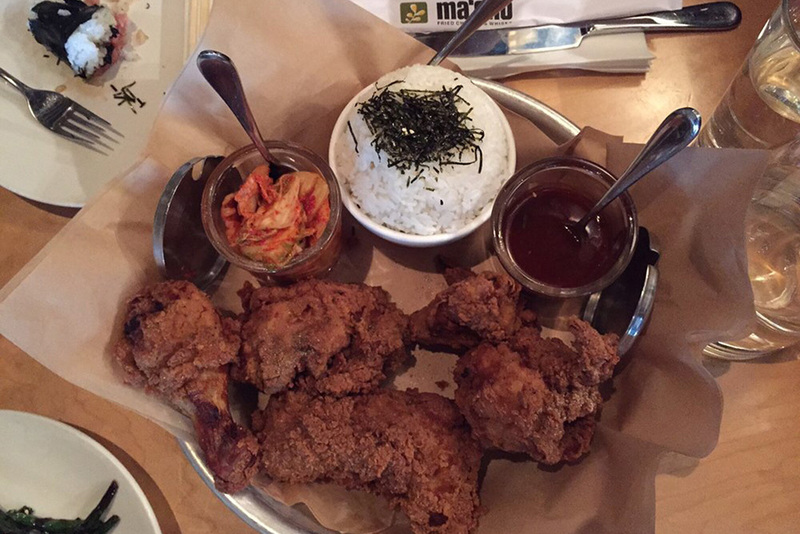 Call in advance to reserve the über-popular fowl, available whole or half and served on a platter with spicy cabbage kimchi, nori-sprinkled rice and chili sauce. Located inside a 1929 Texaco service station that the Vinyard family converted into an Art Deco-style diner in 1980, this meat-and-three is long on charm. 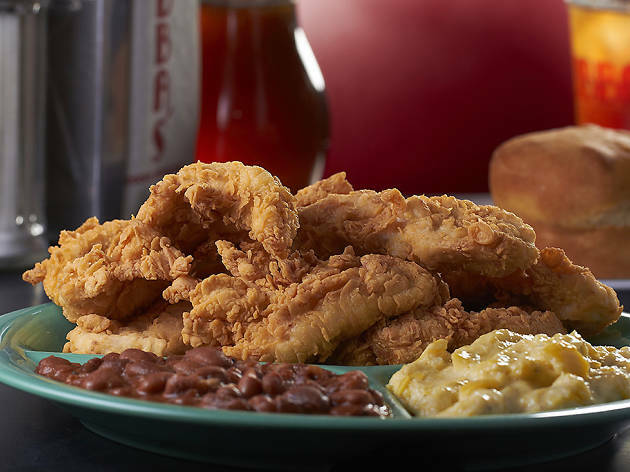 Serving up heaping, family-friendly plates of meatloaf, chicken and dumplings and fried catfish, the star of Bubba’s menu is undoubtedly its hot, crisp fried chicken. Look for seasonally rotating sides such as buttered lima beans, stewed black-eyed peas and a sweet sauté of okra and tomatoes. 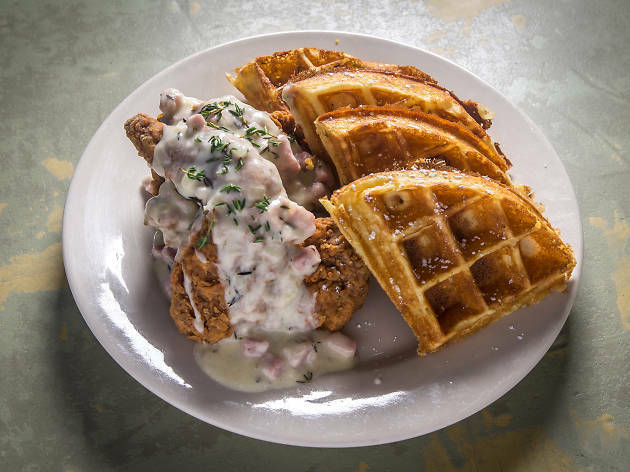 This comfy Houston gastropub boasts an impressive wine list specializing in sparkling vinos from across Europe, the better to pair with the restaurant’s highly coveted Southern fried chicken—the wine’s acidity refreshes the palate, and its bubbles help cut through the grease. 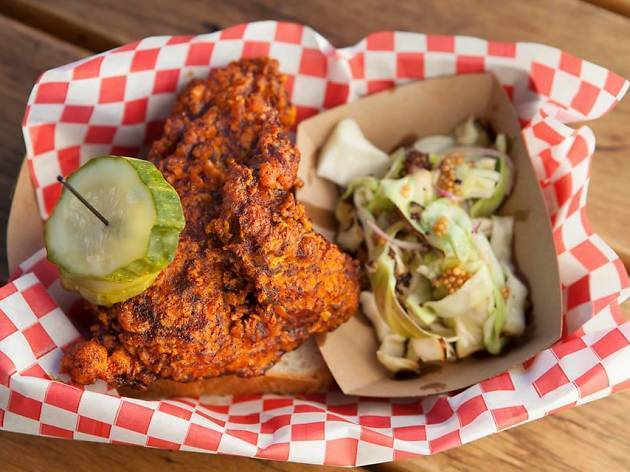 Not that there’s much of the latter to be found on this crisp bird: marinated in jalapeno-laced buttermilk before being fried to shattering, it’s surprisingly non-oily. 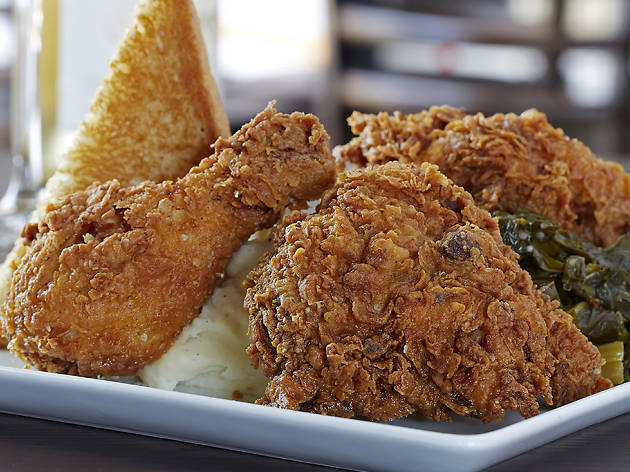 The chicken’s addictive plate-mates—mashed potatoes, braised collard greens and thick-cut Texas toast slathered in chipotle honey butter—make for an impressively craveable platter of fare. 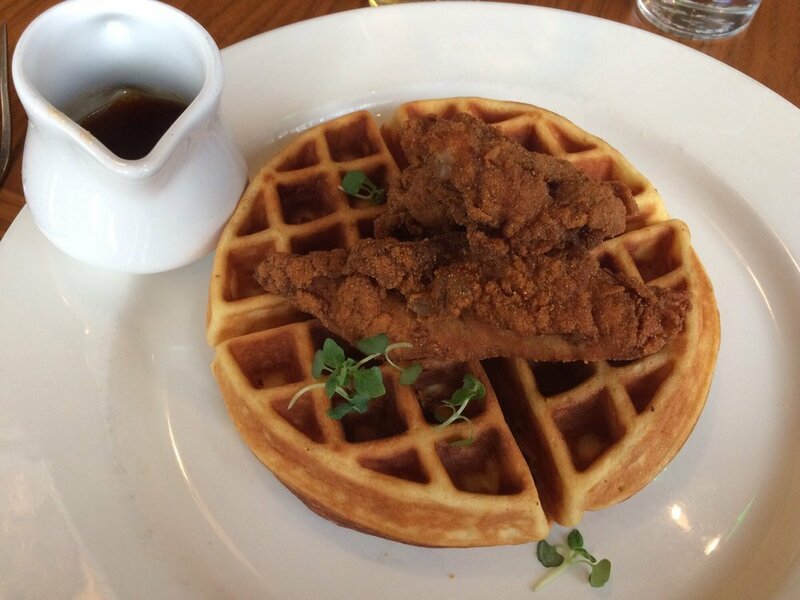 Brunch at 1300 on Fillmore is a truly unique treat. 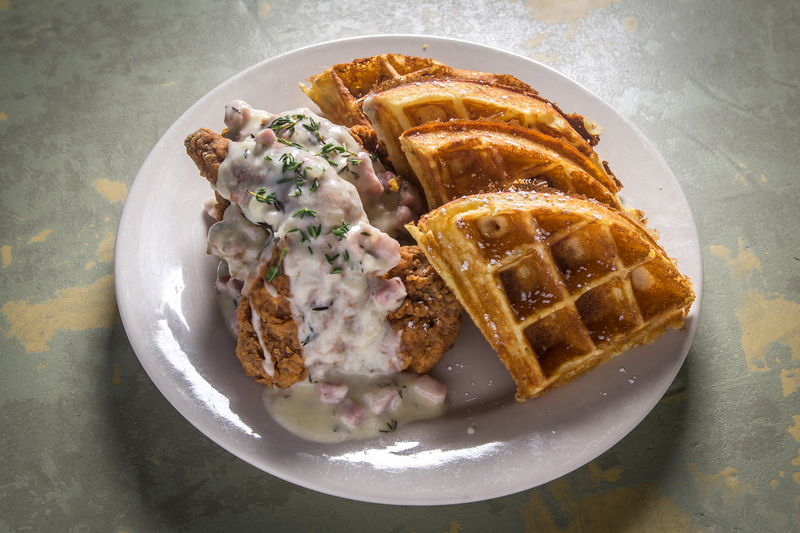 A live gospel singer serenades patrons as they indulge in some of the city’s tastiest low-country cooking, and it’s the only time you can get David’s Fried Chicken & Rosemary Waffle with chili maple syrup butter sauce (that's chef David Lawrence, in case you were wondering). It’s an elevated version of the classic dish that tastes fantastic, and also perfectly complements the lively, soulful vibe that starts the second you sit down and stays with you for the rest of the day. It seems like this haute diner’s burger gets all the love. 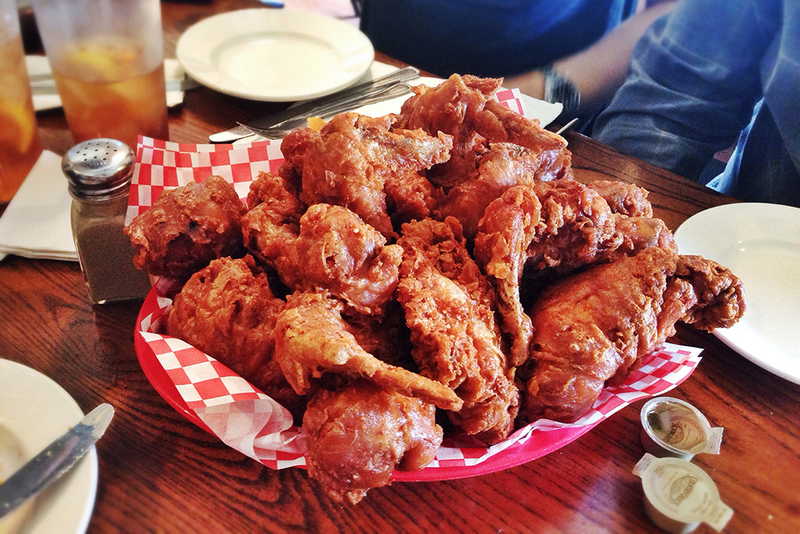 And we’re fine with that, because it means more General Jane’s Honey-Fried Chicken for us. 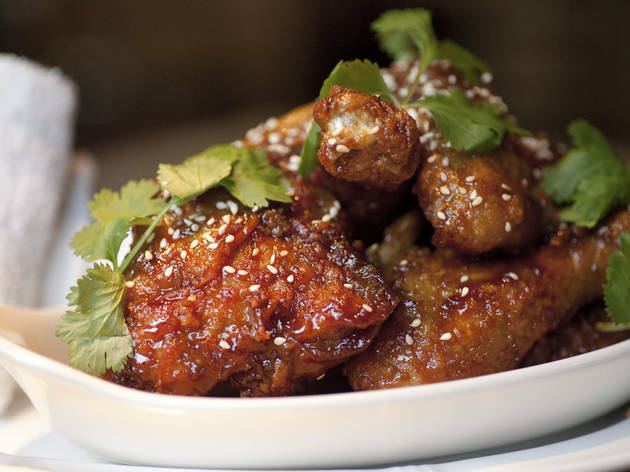 A playful reworking of the greasy Chinese takeout standard General Tso’s chicken, the dish is anchored by a half-bird that’s exceedingly soft in texture. 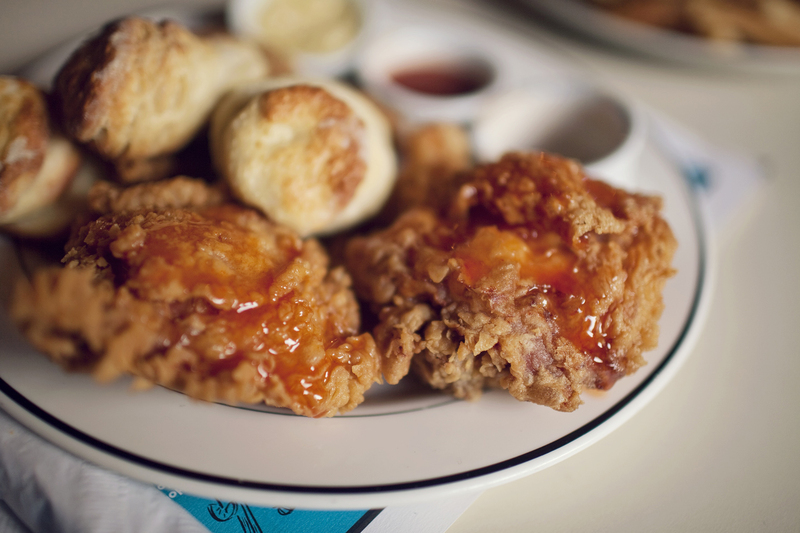 An almost shell-like breading somehow retains its crunch despite being liberally sauced. And let’s talk about that sauce: It’s thick and sticky, heady with soy and ginger, sweet and at once possessed of a smoldering chili burn that takes a few bites to announce itself but leaves your lips tingling. Um, burger? What burger? This chain’s near-total conquest of the South—it has locations in 15 cities, including Memphis, Oxford and Atlanta—is the first clue that Gus’s “world famous” fried chicken is going to be something special. 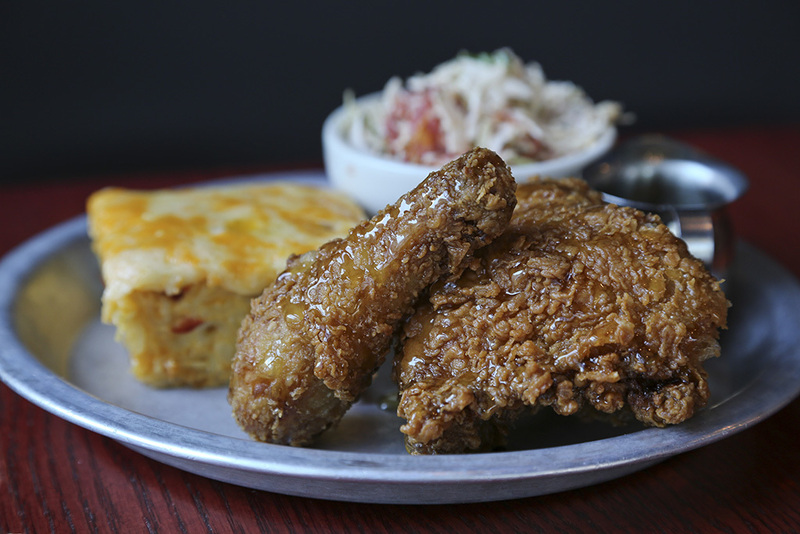 The second clue comes with that initial bite: A crunchy, well-seasoned crust gives way to moist, tender meat, and you’ll want to reach for drumstick after drumstick. 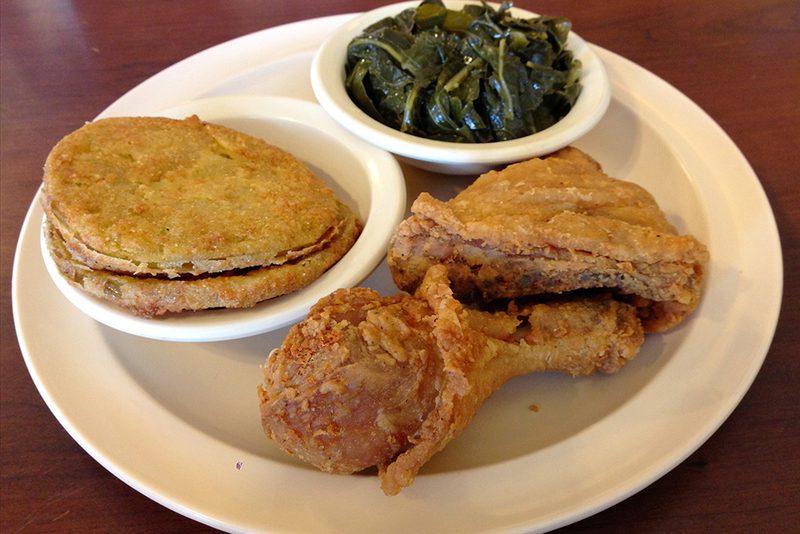 Don’t sleep on Gus’s other menu items, either—the fried okra, fried green tomatoes and fried pickles are all exemplary, too. 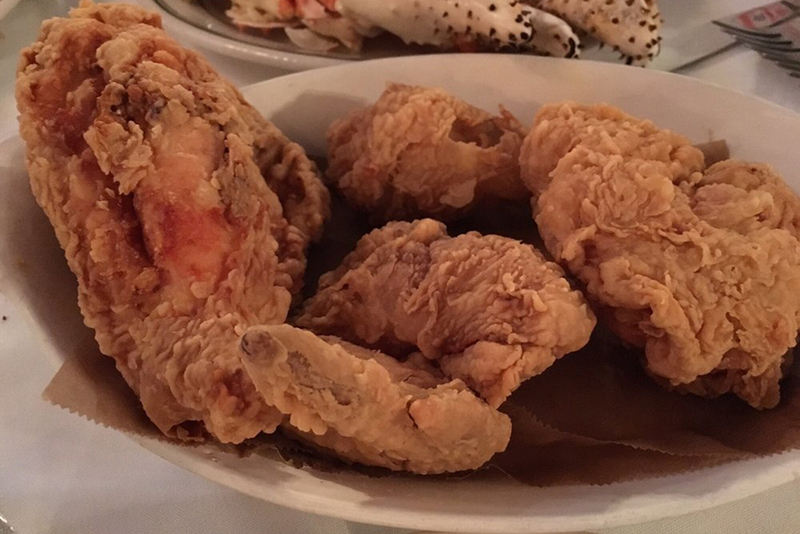 What’s Miami’s top seafood restaurant’s best-kept secret? 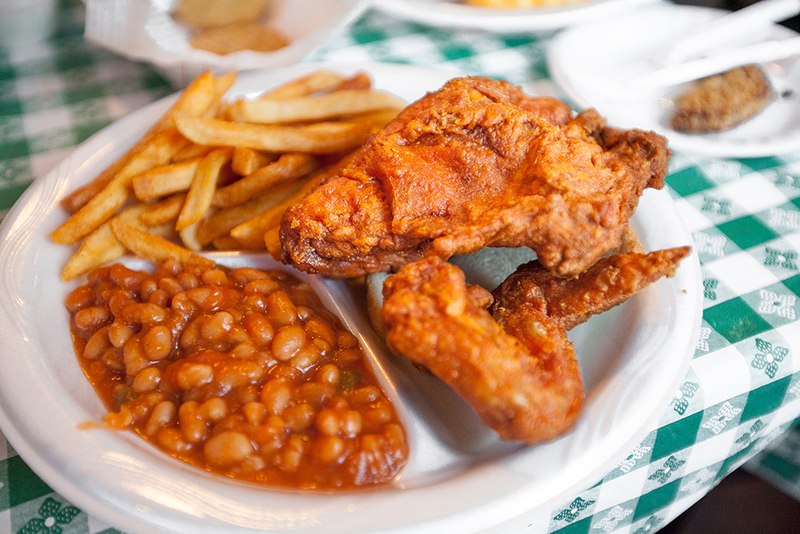 Its crispy, Southern-style fried chicken, which locals gobble up more often than their popular crustaceans. 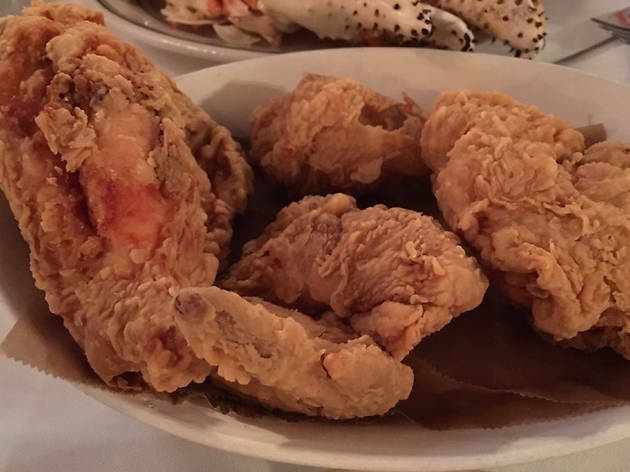 For just $6.95—a bargain not just at one of the city’s oldest, most revered dining spots but really anywhere—you get a generous portion of juicy chicken (a combo of breast, drumstick and wings) covered in a thick, golden crust.